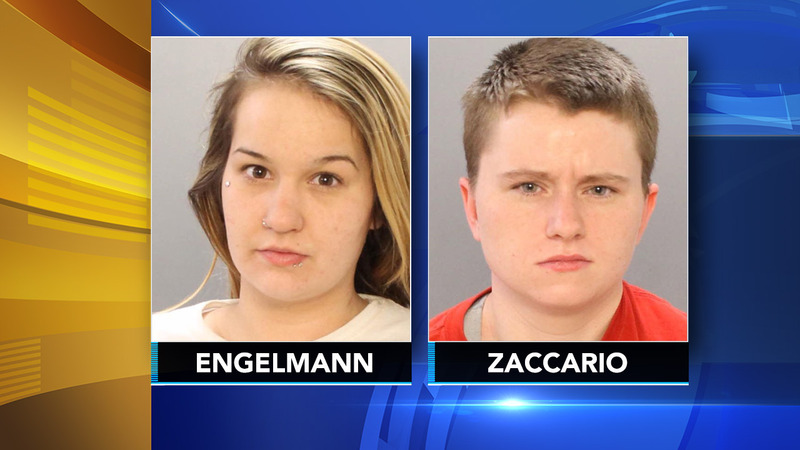 PHILADELPHIA (WPVI) -- Two homeless women have been arrested for an attack on an 85-year-old man inside a CVS store in the Somerton section of Philadelphia. The suspects are identified as 25-year-old Rachel Engelmann and 28-year-old Madison Zaccario. It happened on Feb. 21 around 11:30 a.m. at a CVS located in the 10000 block of Bustleton Avenue. Police say an 85-year-old man was using the "MoneyGram machine" when the attack occurred. According to investigators, the two suspects approached the man and asked him if he needed help. That's when the victim was thrown to the ground and robbed. Both were charged with Aggravated Assault, Robbery, Theft by Unlawful Taking and related offenses.